We go to court,So you dont have to. and find out now . Have you recently received a traffic ticket? Getting a moving violation can have both immediate and long-term consequences. A traffic ticket can result in significant monetary fines and an accumulation of points of your driving records, which can lead to drastic hikes on your automobile insurance premium. If you or someone you know has been ticketed for a moving violation, it is in your best interest not to plead guilty and to consult with an experienced traffic lawyer in new jersey At the law offices of Dan T. Matrafajlo, we will aggressively fight to dismiss your ticket in order for you to avoid the resulting negative consequences. Perhaps the most significant impact is on your automobile insurance. When you plead guilty to a traffic ticket, the department of motor vehicle will record points on your driving record. In turn, your insurance carrier counts these points when determining your premiums. If you have accumulated more than 8 points on your record, you may be ineligible for standard automobile insurance and will have to pay for a significantly more expensive policy. Just because you have received a ticket, it does not mean that you have to automatically plead guilty, pay the fine, and endure the consequences. Paying a ticket means pleading guilty to the underlying offense, and it is not a decision that should be made hastily. With the help of experienced New Jersey traffic attorney Dan Matrafajlo, you may be able to fight your ticket and avoid the fines and insurance premium hikes. Attorney Matrafajlo will help you provide the strongest possible defense when you are accused of a traffic violation. He will guide you through the legal process and explain the penalties you face, the options you have for getting a reduction in your points and fines, and the possibility of getting your ticket dismissed altogether. Got Traffic Tickets? Call Us Now! If you or someone you know has received a traffic ticket, call New Jersey traffic lawyer Dan Matrafajlo at 908.248.4404 to schedule a free consultation. He will fight for your rights and help you dismiss the violation altogether or at least reduce the charges. Your case will benefit from his expertise and experience, and your pocket will benefit from the extra money in it. 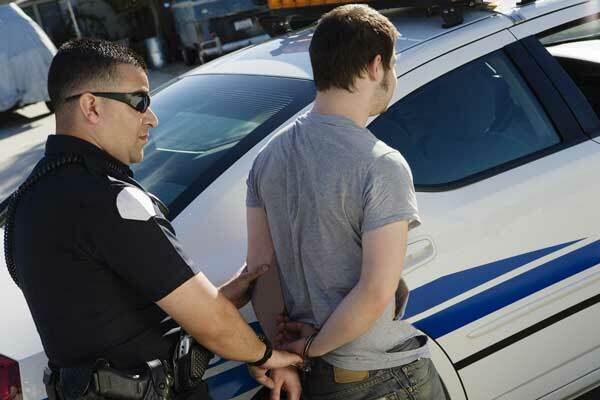 What Penalties Do You Face for Assault Charges?